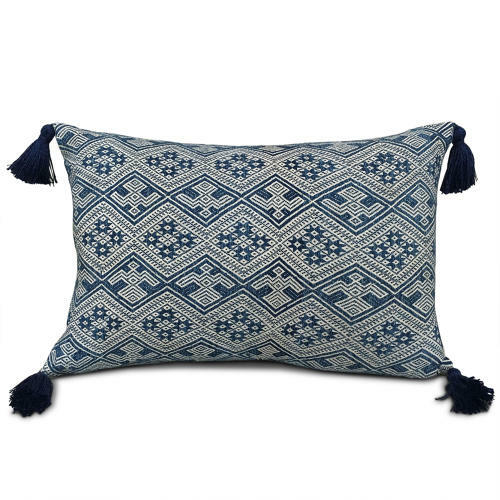 These pretty cushions are from an early indigo Dong minority wedding blanket. The face of the cushion is the underside of the weave as I thinks its more interesting. I've added cotlin blue tassels at the corner, grey vintage hemp backs, with zip closure and feather pads.